I currently own a Fobus thumb break holster for my Springfield XD9 and it is a reasonably good holster considering its price. 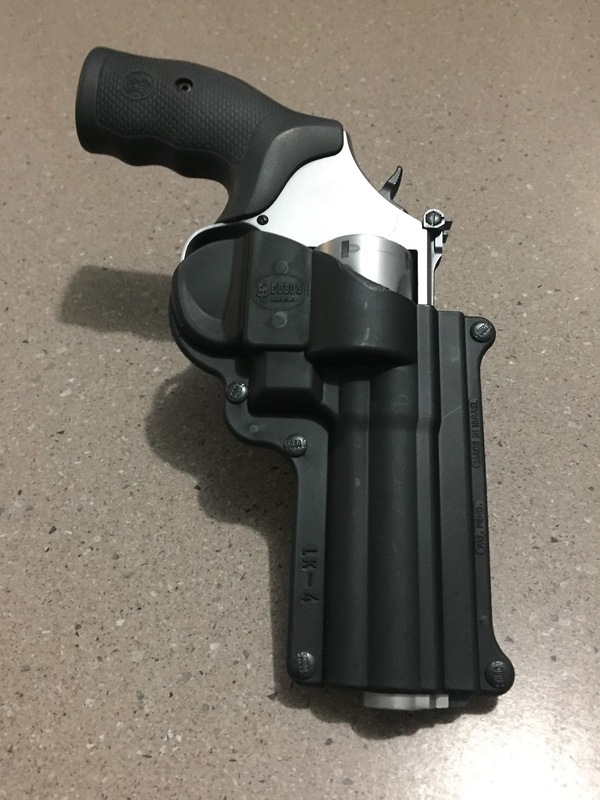 I have used it quite extensively and it certainly works better than the factory holster included with the Springfield. Fobus make a passive fit holster specifically for a 4" K/L frame so I decided to give it a shot. The holster is every bit as rigid as other brands and has a very positive snap as you slide the gun home. As stated, the holster is made for a 4" barrel and the 4.25" barrel of the M69 protrudes from the bottom of the holster by, you guessed it, .25" Close enough is good enough at this stage. There are many options available with the holster and one major option is its 360 degree rotating mechanism to adjust the cant to suit your personal preferences. It is shipped as a paddle holster as standard and optional belt fittings are available. These use the same rotating mechanism to attach to the body of the holster and are secured by an allen screw. Loosening the allen screw allows cant adjustment or remove it to change the attachment. I purchased both the small and large belt attachments to fit the different belts that I wear. a wider belt does distribute the weight a lot more evenly and feels better to wear. 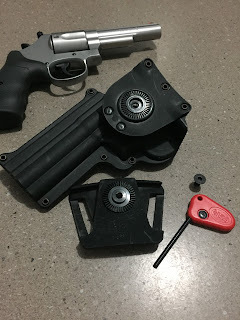 The passive fit does mean more force is necessary to draw the gun from the holster compared to a Serpa, but I rest easy knowing that the gun would not fall from the holster if I was being held upside down and shaken by a Yowie*. I have worn the holster using the small belt attachment for a few hours and it is quite comfortable. 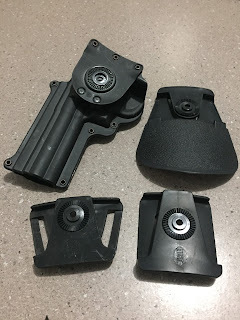 I purchased this holster from TFA site affiliates, Zahal Israeli Tactical Gear store. If you would like to learn more about the S&W M69, click here for a desktop review. * A Yowie is the Australian equivalent of Bigfoot but with an Australian accent.